One of the new requirements is that in order for a durable power of attorney for finances to be valid, the durable power of attorney must be signed, dated and either (or both) witnessed by two individuals (neither of whom is the agent named in the document) or notarized. Another new requirement is that before acting as an agent under a durable power of attorney for finances, the agent must first sign an acknowledgment (i.e. acceptance) outlining the agent’s responsibilities, and the acknowledgment must include language that is substantially the same as the suggested language provided in the Act. Furthermore, an agent is now required by law to maintain records of their actions, including transactions, receipts, disbursements, and investments. Finally, there are specific restrictions on the agent’s authority written into the Act. For example, an agent may not make a gift of any portion of assets unless the durable power of attorney allows gifting (or unless a court authorizes it). Additionally, agents may not make themselves joint owners on any asset unless the durable power of attorney allows creation of joint tenancy (or unless a court authorizes it). And agents may not be paid for their services unless the durable power of attorney allows such compensation. If you do not have a durable power of attorney for finances or you have one that is more than three years old, you should schedule a review of that document and your other estate planning documents to make sure that your planning is up to date. 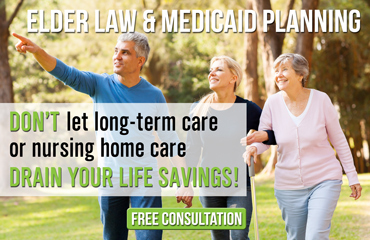 Any person interested in a review of their estate plan should contact our office for a FREE consultation. In this meeting we will review your old estate planning documents and immediately notify you about any issues that are identified. We will also conduct a long-term care analysis to determine if you are properly prepared to access long-term care benefits should the need arise.